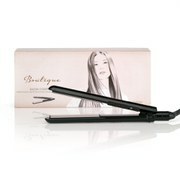 Unique, versatile and designed to give you show stopping tresses, the Titanium Expression Ultimate Styler by BaByliss Pro boasts rose gold titanium plates and innovative Titanium Ceratherm™ System technology which transfers heat instantly onto the hair for sleek, frizz free results. 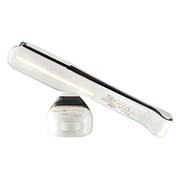 With a salon length cord, multi-voltage design and an auto shut off mode for piece of mind, the straighteners also feature curved plates so it's easy to create flicks, waves and curls too. 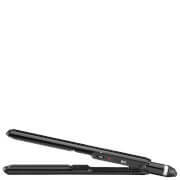 The 12 digital settings with and added memory function range from 180°C-235°C to give enhanced hair protection for all hair types, the styler comes complete with a heat mat and storage compartment for safe keeping. K.D.